Picture of the Wensleydale Railway at Leeming Bar Station. 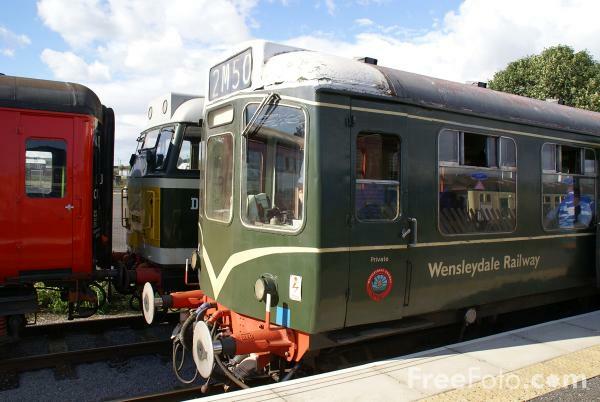 Passenger trains have now returned to the Wensleydale Railway after nearly half a century. Trains run from Leeming Bar, close to the A1 at Bedale, and follow the 12 mile scenic route to Bedale, Leyburn and Redmire in Wensleydale.